Nova Metalworks has provided metal fabrication services for the QSR industry since 1985. We supply metal components to most of the key Fast Food Restaurants. 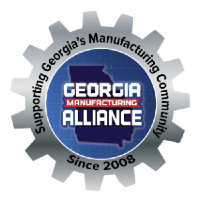 We are located in Bremen Georgia and proud that our products are made in America. We have complete CNC Capabilities, including a precision CNC laser cutting shop, and a full service CNC machine shop. Nova collaborates with architects, designers, builders, artists and other individuals to help their creative metalwork ideas come to life. We offer architectural metal fabrication for decorative and ornamental projects, both commercial and residential. We also have a resident artist to assist customers with their designs.